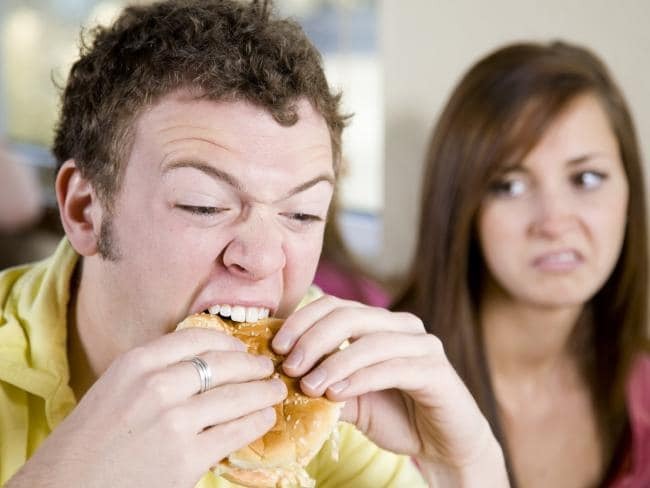 (Natalie Reilly/ Newscom.au) — I CAN’T eat in front of my husband. It’s not me, by which I mean it’s not my eating habits or anything. It’s him. Well, it’s really me. Actually, it’s both of us. The sounds he makes when he eats — the smacking of his tongue against the roof of his mouth, the sloppy noises as the mush of food is ground down by his teeth. The way that, if he tries to tell me something while eating, he holds his food on the side of his mouth, or near the back of his throat, muffling his voice. The repeated swallowing of soft, moist clumps of food. All of it drives me truly insane. But it’s not just me. He also can’t stand the way I eat.